Dawes are going to be playing at the California Academy of Sciences for NightLife this evening. This is the first of many night shows that are being put on by Outside Lands and you're in luck because the show has not sold out yet. 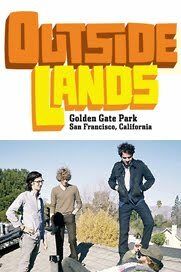 Dawes are going to be playing at Outside Lands on Saturday at 1:25pm on the Panhandle Solar stage in Speedway Meadow. FYM was able to catch Dawes at SXSW earlier this year for the Rolling Stone showcase and were stellar live. Definitely a smaller band to be caught during the day at Outside Lands and in the amazing building that is the California Academy of Sciences. The show at NightLife is from 6-9pm and is $12.